The Pima County Wastewater Conveyance System JOC project involves the repair/upgrade of existing facilities by varying methods including: remove/replace existing sewer pipe, Heat/Felt CIPP Rehabilitation, Ultraviolet Light Cured-In-Place Pipe (UV CIPP) Rehabilitation, UV CIPP point repairs, rehabilitate existing manholes, frame and cover adjustments, construct new manholes, odor control equipment installation, and booster pump station rehabilitation and new construction. 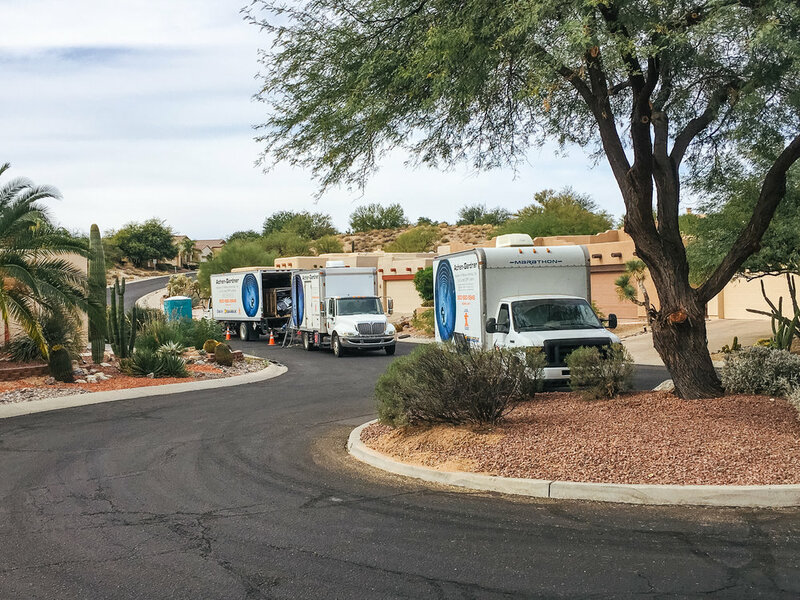 Total quantities to date: 34 excavation point repairs, 410 LF of new sanitary sewer pipe, 1,036 LF of pipe removal and replacement, 41,254 LF of UV CIPP, 20 manhole adjustments, 13 manhole rehabs, 15 new manholes, 22 UV point repairs, 2,452 SY of pavement, one biofilter, one dosing station, and one diversion structure. We have also completed one job order that included the installation of a bar screen structure (see details below). Bar screens are commonly used in wastewater treatment facilities to remove large or non-degradable items from the influent stream. 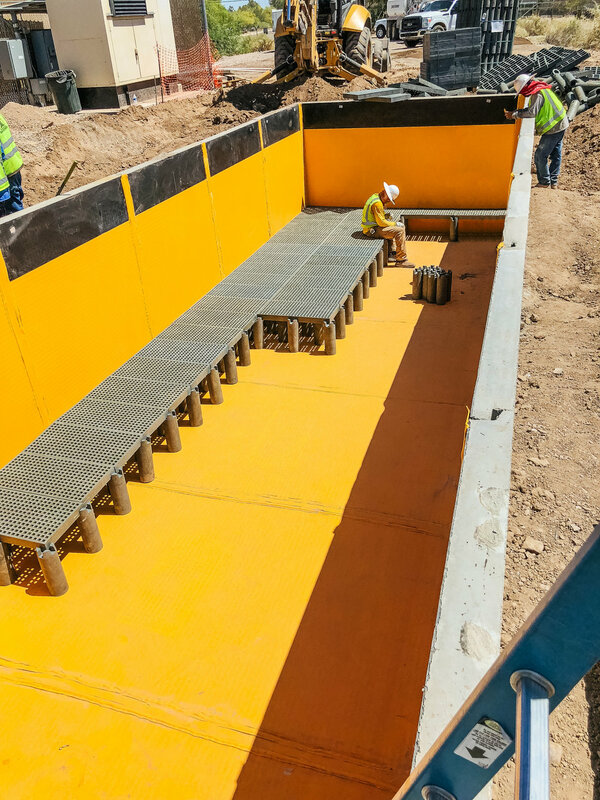 The Arizona State Prison Bar Screen is unique in that it was installed in a gravity sewer to filter debris prior to entering an interceptor. 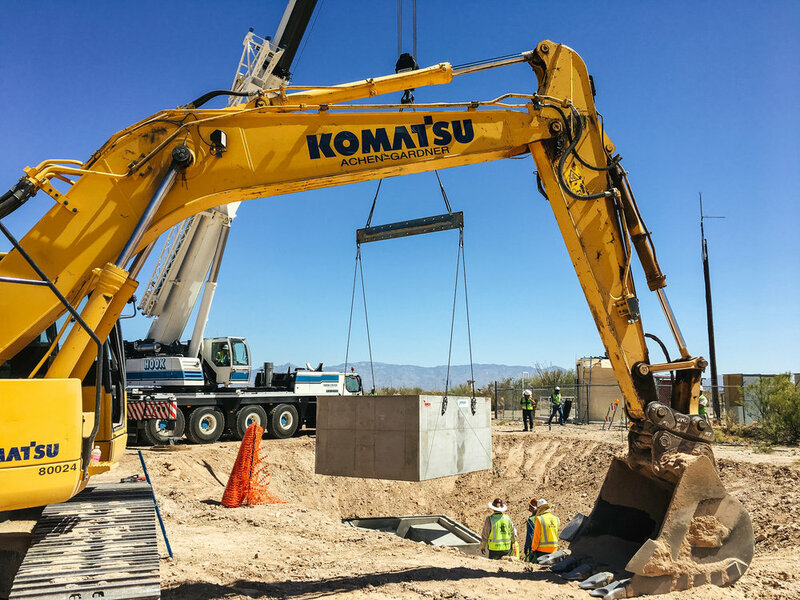 The installation of the bar screen with minimal modifications was a significant accomplishment considering 95% of the associated sewer system components were completed prior to arrival of the bar screen. 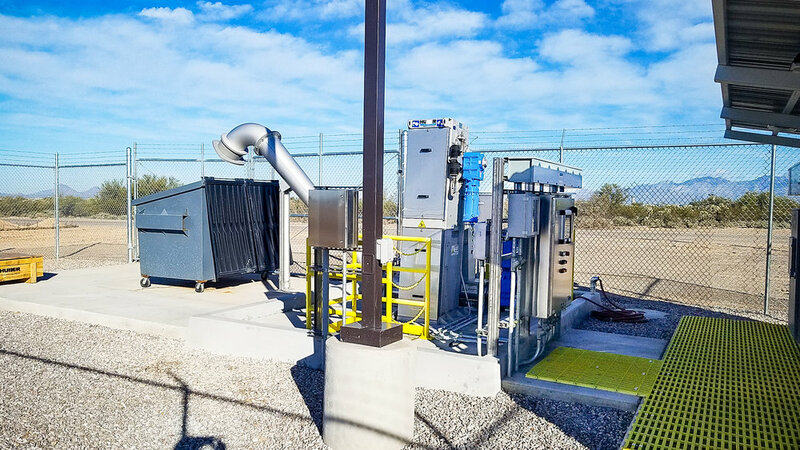 Coordination between the owner, contractor, equipment manufacturer, Tucson Electric Power, and prison personnel resulted in the completion of the project on time and within budget. 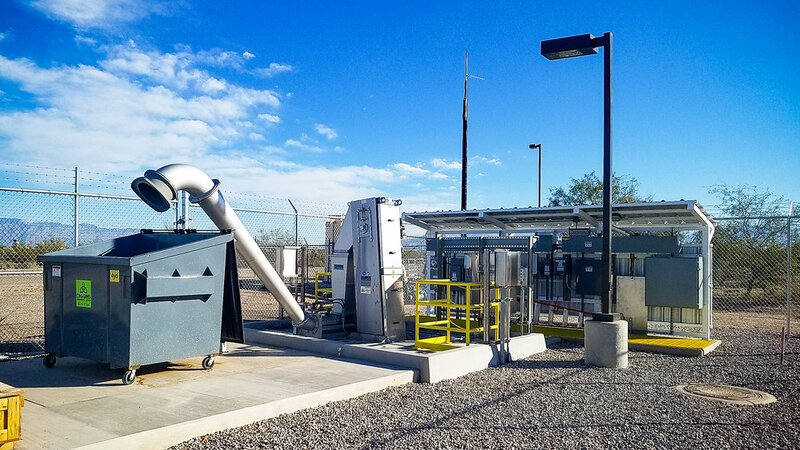 The Arizona State Prison Complex sewer system has a large amount of plastics, fibrous material, clothing, and other solids that necessitate the use of a specialty system for removing these items prior to the wastewater treatment process. This problem was addressed by designing a new solids handling rake system that can handle the unique nature of the solids produced by the prison facility. 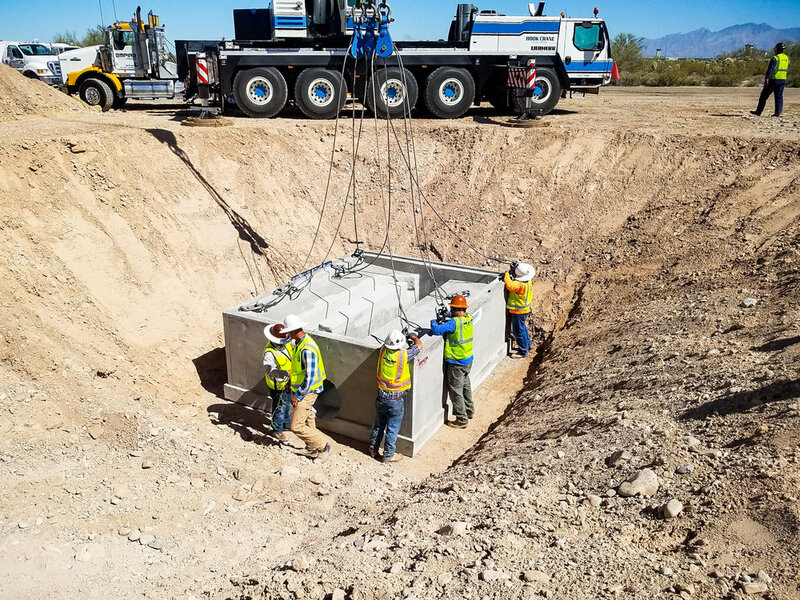 Additionally, the two gravity lines that exit the north side of the prison grounds had to be re-routed and tied together, before entering the new solids handling system, to create one consistent source. 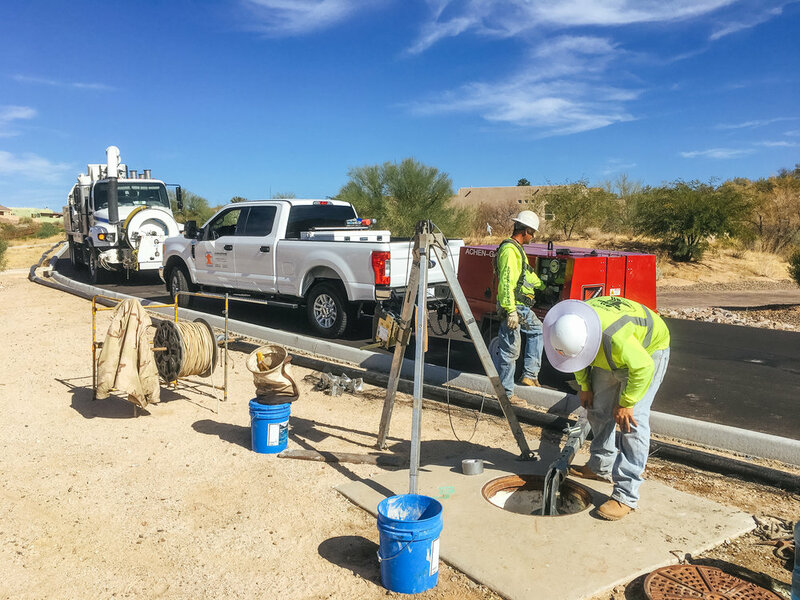 In the future this re-alignment will allow the wastewater from the sewer to be tied into a proposed future gravity line that will be routed west along the nearby Old Vail Connection Road as a part of the Old Nogales Interceptor project. 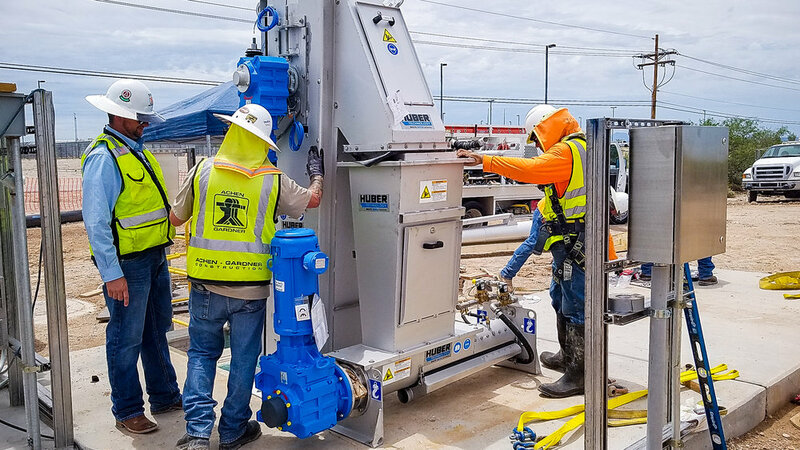 The installation of a solids handling/removal system and a new gravity main allowed the owner to remove the current failing system, which included an aging lift station and a wet well that required weekly maintenance due to debris build up.